Cindy and Bruce Wilkins of Cin Chili & Co (makers of the multi-award winning chili mix that bears their name), have launched Passion Pickles. 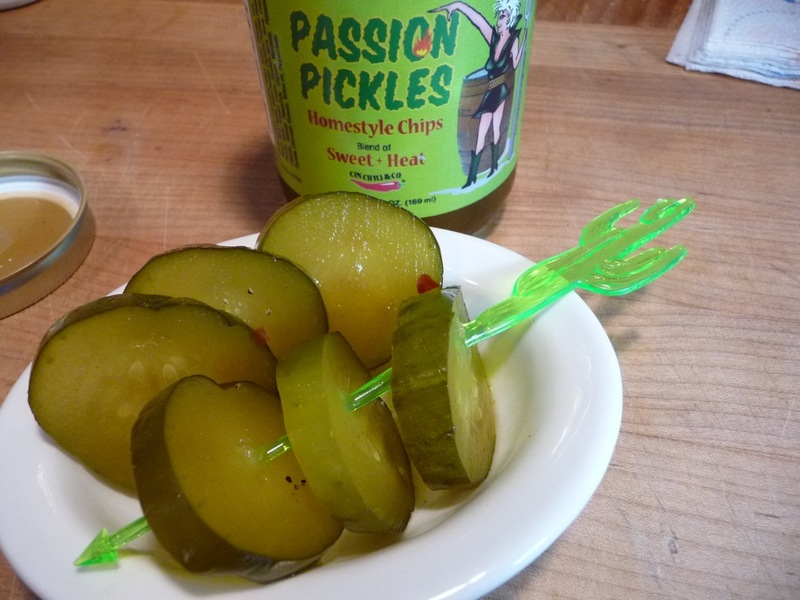 Not “dill” or “bread and butter”, Passion Pickles are a little sweet with just the right amount of heat. We’ve been big fans of Cin Chili spices and sauces for years. Their Serrano Sauce pairs perfectly with their award winning Cinderosa Texas Style Chili Mix, and their Hell’s Passion Hot Sauce makes some great wings. So when we learned they now have Passion Pickles we promptly bought a couple of jars. 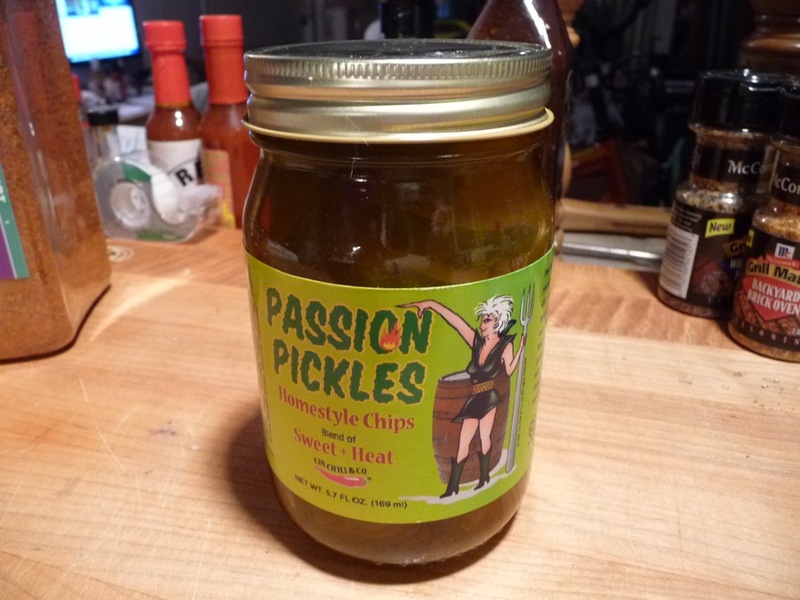 The label says these pickles are made with Cin Chili’s Hell’s Passion Hot Sauce. That sounds scary hot doesn’t it? But they’re not – read on to learn more. Ingredients: cucumbers, water, sugar, vinegar, salt, red pepper, black pepper, onion powder, cayenne powder, habanero powder, garlic powder, cumin, xanthan gum, alum, calcium chloride, natural flavorings, sodium benzoate, potassium sorbate, oleoresin tumeric, yellow #5, polysorbate. Texture & Appearance: Big, thick slices of pickles in a nice green brine with bits of seasonings floating about. Taste Straight Up: Just a slight hint of dill flavor at first, followed by the sweetness of the sugar. Next up comes the heat – mild at first, then a bit stronger. The various chile powders give Passion Pickles a unique, complex taste and type of heat. Heat Level: – While certainly not as hot as some of the hot pickles out there, these babies bring on a mild level of heat that quickly warms the tongue with pleasure, and then fades fast enough so you can grab another. Label/Graphics: Bumpy, green lettering in the title is a nod to the pickles, and there’s the familiar Cin-Chili Girl in front of a pickle barrel – this time she’s holding a giant pickle fork. “Homestyle Chips” and “Blend of Sweet + Heat” are indeed true words. 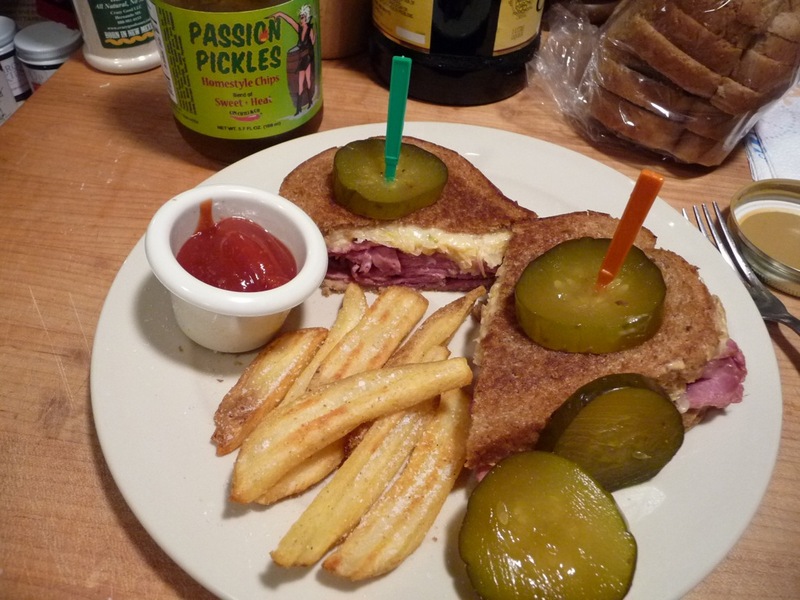 Overall Rating: – As pickles go, Passion Pickles are high quality in taste, flavor and crunchiness. These thick chunks of spicy pickleness are great alongside your favorite sandwich or burger. Get yourself a couple of jars, they’ll go fast. About Cin Chili & Co: Cindy Reed Wilkins, aka The Chili Queen, is a legend in the chili community. She’s one of the greatest champions in the history of chili competition. Cindy and her husband, Bruce, manufacture and sell her award-winning chili seasoning and hot sauces through family-owned Cin Chili & Company. Social Media: Visit Cin Chili on Facebook and follow them on Twitter. They often offer special sales via their Facebook page. Where to buy: Shop Cin Chili’s online store. I REALLY DONT WANT TO BUY PICKLES….. I WANT TO MKE PICKLES…. DO YOU NOT EVER HAVE ANY RECIEPES??? @MONA – I’ve never actually made pickles myself, but like you, I’d love to try it. There are tons of recipes online for “refrigerator pickles” and the like. Just looking at these pictures again is making my mouth water 🙂 They’re really that good! I like sweet and hot pickles like this. These seem a little hotter than my recipe since they include habanero in there. They really are hot at first, them get tame soon after. I’ve had hotter.